Perhaps SoundCloud is the most trilling Social platform for music lovers. Social platform in a sense that it allows you to create and share sounds and music clips privately with your friends or publishing to your blogs, websites and social networks. Recording an audio clip or directly uploading a music file to SoundCloud is fairly stress-free and takes few moments to complete. So, those who are anxiously looking for a method to Embed SoundCloud in their Blogger site can sit back and enjoy this tutorial because Today in this article we will learn how to Embed SoundCloud Music Files in Blogger. 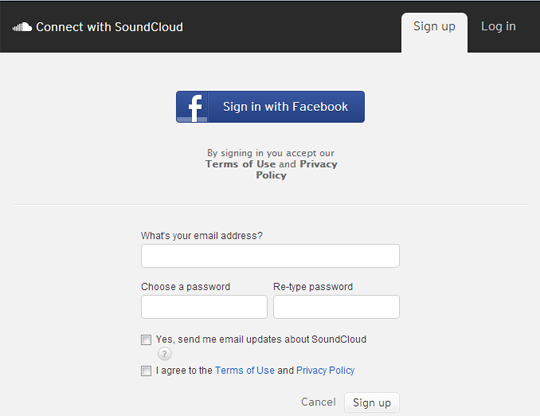 First go To SoundCloud.com and login into your account, if you have not registered an account yet then redirect a new one, or you can connect your Facebook account with it. After registering your account, move on to the next step. Now after logging into your SoundCloud account, you can either explore the music files from other users, or you can upload a new one. To upload an Audio file from your computer Hard drive just go to http://soundcloud.com/upload and it will take you to a new page which would offer two options one for recording the audio Live, and second to upload through your hard drive. Select any one option and Upload the music file. During uploading, give title, description, category and tags to your audio file so that other users can easily access it while searching. Once the uploading is over, Press the “Save” button and head to the next step. On the “Save” button, it will take you to a new page where it will display the audio file that you uploaded in the previous step. From the list of options select “Share” and copy the whole HTML coding under Widget Code. After copying the Embed code, go To Blogger.com >> Your Site >> Add a new post >> select the HTML Tab from the post editor and paste the coding where you'd like the player to appear. Once everything is ready, press the publish button to see the results. How to use HTML5 Embed Coding Instead of Flash? One of the most anticipated questions that users usually asked is use to HTML5 instead of flash while embedding their audio clips in their website. The solution is quite straightforward while copying the embed code from SoundCloud first edit the Widget code by pressing the little pencil button present besides the coding. After selecting the pencil button it will display a list of options like whether to select HTML5 coding or to go with Flash. It even allows you to customize the color of your player and some other amusing stuff. Is there any way to Use our Own Music Player? If you have a reliable hosting, then you can host your own audio player. Read this guide: How to Add a Flash Mp3 Music Player. 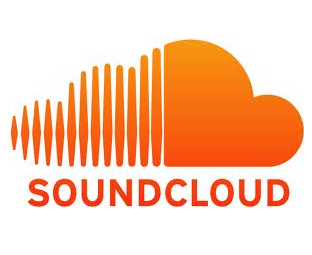 However, we would prefer you to use SoundCloud because it is a standard audio station and it is FREE and easy to use. I also go with SoundCloud coz its very simple! Thanks! oh thats great i was looking for similar thing, definately will try it on my movie blog, thanks faizan. I haven't been able to add SoundCloud clips to my blog as the 'widget code' doesn't appear when I hit the Share button. Any tips?